In an annual report on cyber-censorhip, freedom of information group Reporters without Borders have placed India ‘under surveillance’ for its increased efforts to monitor internet activity. The report attributes stepped up internet surveillance in India down to national security policy and increased efforts to monitor the Internet after the 2008 bombings in Mumbai. “Save YourVoice has begun a campaign to wish Kapil Sibal a ‘Happy Fools’ Day!’ on this April, 1, 2012. We as a team feel that our Minister of Communications and Information Technology is precisely the right person in India to wish a ‘Happy Fools’ Day’ this year. We as a team will visit different places in New Delhi with a dummy of Mr. Kapil Sibal to gather your greetings. 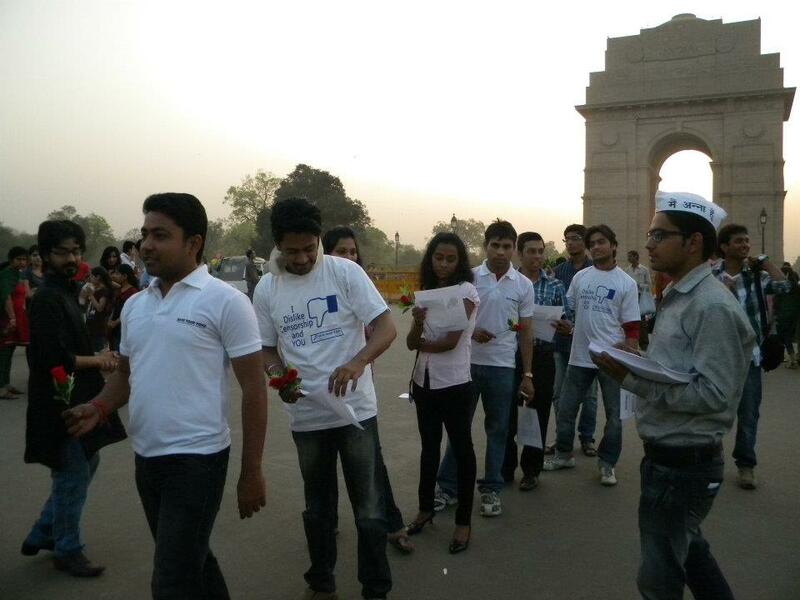 We began our campaign at the India Gate on March 18th and our Kapil Sibal received many heartfelt wishes from the crowd there. We strongly believe that Kapil Sibal truly represents all the fools across India today – by ordering internet companies to censor their content. Who else could give such an order? Our minister has earned his nick-name throughout the world. His foolish statements have degraded India’s image in the eyes of international community. Mr. Sibal is a symbol of antiquated foolishness in the current context in India. Option 3- Visit our blog www.saveyourvoice.in and leave your comment. We’ll send your comments to Mr. Sibal directly. A spokesman for the Ministry of Communications and IT declined to comment on Mr. Trivedi’s campaign. He added that Mr. Sibal was unavailable and “extremely preoccupied” with Delhi’s upcoming local elections. Although Save Your Voice is relatively small, it is gaining popularity on social media. “Best wishes to Kapil Sibal on April Fools’ Day. You are truly ‘superman’ for the foolish,” a user commented in Hindi on the non-profit’s website. “Great initiative. Now Mamata Banerjee should pester PM to declare April Fools’ Day as a national holiday,” another user commented. West Bengal Chief Minister Ms. Banerjee has reportedly written to the Prime Minister four times demanding that birth anniversaries of famed Bengalis be declared national holidays.